I had a bit of an epiphany today, and thought I would share. But first, a little background…. Nearly 10 years ago I was at a crossroad. At that time I had some very tough decisions to make and had to seriously evaluate whether or not I should further my education or focus full-time on my career. In retrospect it’s quite possible that I could have attempted to balance both. But I had a high degree of passion towards furthering my career and felt that focusing and directing my energy was the best choice. I’m satisfied with the decision I made. Shortly afterwards I ended up starting my own consulting business and ran it successfully for 2 years. Since then I’ve pursued quite a few other opportunities in the wireless and ISP sector and have been happy with my progress and the status I’ve attained. I’ve been responsible for designing and building technology solutions that have ultimately been used by millions of subscribers, have developed numerous software applications, and have been fortunate to have developed a product that has seen the light of day on the shelves of Best Buy, Staples, and Circuit City. Now that I can look back in retrospect, the one catalyst that brought about the most change for me in ’96 was starting to systematically set goals and start asking some tough questions. At the time, the specific formula that made this happen was the Personal Power II course from Tony Robbins. After taking this course I was really able to step back, take a 50,000 foot view of my life, and start setting some direction and real goals. Regardless of opinions on various techniques like NLP or NAC, I think the real value in courses like these is not only the emotional charge and excitement you get, but more importantly the emphasis on asking questions. After I got really clear on my goals in areas such as finance, relationships, and career I saw really immediate and significant gains. I was recently looking through my success journal, which is the personal log/diary you keep while going through the Personal Power course. It was a great feeling to go through my lists of challenges, ideas, dreams, and goals and to see the progress I’ve made. In some cases I significantly exceeded my initial goals and expectations. In other areas I’ve made slower, but notable and gradual improvement. And, in others I’m still facing some of the same challenges. So goes the story of human development and learning. I now have the distinct feeling (more of a knowing) that I’ve reached a plateau and am ready to take things to the next level. At this point in my life I have significant interest in a few diverse and possibly opposing areas: Technology, Business, Philosophy, and many aspects of Human Potential . I feel I’ve reached sort of a fork in the road and need to decide how I will focus (or maybe this time divide) my research and energy. In the last couple weeks I’ve started really thinking hard about my future plans, and have dove back into success literature with a specific interest in goal setting/visualization and time management. I think my perspective has matured a bit in the last 10 years since I now have some “real world experience” and over time have digested volumes of literature related to success, personal development, and time management: Tony Robbins, Steven Covey, Wayne Dyer, David Allen, Brian Tracy, Dale Carnegie, Napoleon Hill, and countless others. Over the next couple months I plan on investing some serious time and thought into my new goals and plans for the next 5 to 10 years. I feel that I’m on the verge of another break through in thinking and will be excited to share any discoveries and tips that I find along the way. In the past couple years I’ve had a real interest in information visualization: Mind Mapping, Decision Trees, Clouds, or anything visually-oriented that helps people view data in new and interesting ways. I started thinking about how this applies to personal growth, change, and goals. In the past I usually thought of progress and change as linear over time, followed by a potentially lengthy plateau, and then followed by more linear changes and plateaus. It turns out that this view is a bit too simplistic and there are other ways to visualize progress. 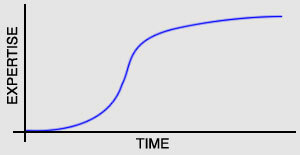 The S-Curve (the classic learning curve) is used to model and represent growth and progress for many different phenomenon. There are distinct phases for innovation (early stage), growth (middle stage), and maturity (final stage). When applied to success you can see the analogy between the initial excitement and application of new ideas, the accelerated growth, and the eventual plateau that is reached. 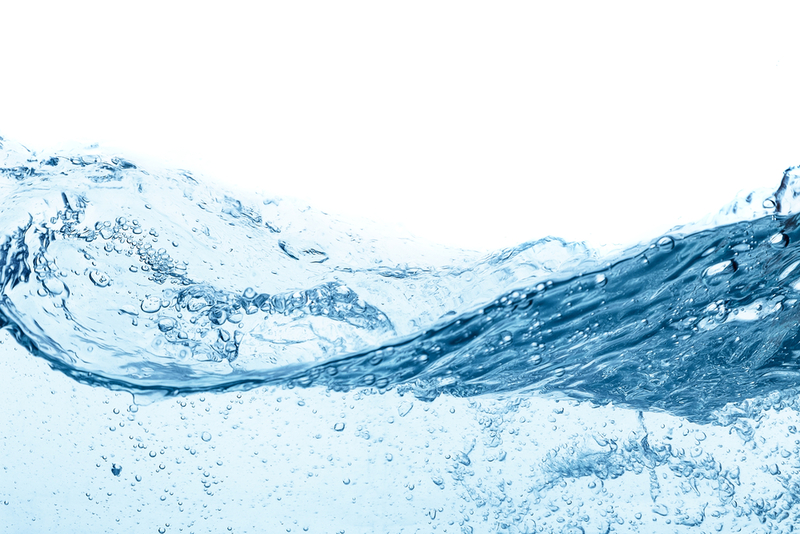 It turns out that using the characteristics of waveforms as an analogy for intentionality, goals, and energy is a very interesting and useful tool. Intentionality has characteristics such as frequency, wavelength, and amplitude. And, the applications of those intentions as goals has distinct phases: Attack, Decay, Sustain, and Release. While this article is geared towards project planning and software development, many of the principles apply to learning and progress in general. Physics topics such as acceleration (enthusiasm) and velocity (momentum) are taken into consideration when modeling progress for projects in various phases (inception, elaboration, construction, and transition). The Satir Model is a 5-stage change model. Unlike the other models listed, this model does not have an immediate positive affect (or incline) or progress right after the change catalyst is introduced. There is more of a personal, human, or emotional response to the desire for change (usually driven by some external force). These stages include the Status Quo, Resistance, Chaos, Integration, and the New Status Quo. “Everyone starts at that dot at the bottom left corner. You’re not succeeding because you haven’t started yet. Then you try something. If it works, you end up at point A. A is where you see results as the direct output of a strategy and hard work. A is the job you got after investing in an MBA. A is the sales you got after running an ad. I’ve been browsing through some old bookmarks and revisted Seth Godin’s article on Local Max. This would be a great addition to this list of ways to visualize change/progress. It’s 2019, and it’s interesting going back and reading this post as in hindsight this was a pivotal shift in my thinking that sent me down some amazing paths! I also found my comment on 9/24/2006 and actually went back, edited the original article, and added Local Max to the list.